Complimentary Moisture Surge (7ml) on orders over Rs. 2500. Offer valid till stocks last. 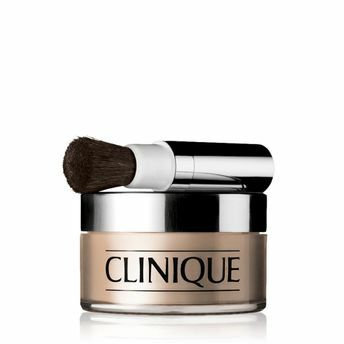 What it is: Clinique's signature, superfine loose powder creates a finish so smooth, flaws (and pores) seem to disappear. What it does: Lightweight, airy powder sets and perfects makeup. Skin-hugging formula makes pores seem to disappear. Silky-smooth finish reflects light for extra radiance. Effectively absorbs surface oil. Gives skin a fresh, natural look. Non-Acnegenic. Oil-Free. Makeup that actively improves your skin without irritation. No parabens. No phthalates. No fragrance. Just happy skin.